Back in 2016, the Downs festival hit the Bristol scene with an epic homecoming show from the legendary Massive Attack. Since then the Downs festival has grown from strength to strength and has now featured top names like Seasick Steve, De La Soul, Soul II Soul, Ibibio Sound Machine, The Districts, and Keir. 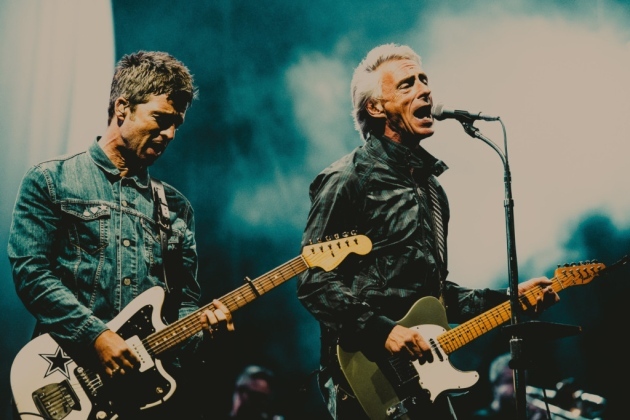 This year’s festival was no different being headlined by the excellent Noel Gallagher and his High Flying Birds, with support from the likes of Paul Weller and The Heavy. It was the second year that HBH had attended the festival and the atmosphere was incredible. During the event, we continued to showcase our new John Lewis micro flat, and we received a fantastic response from the public. 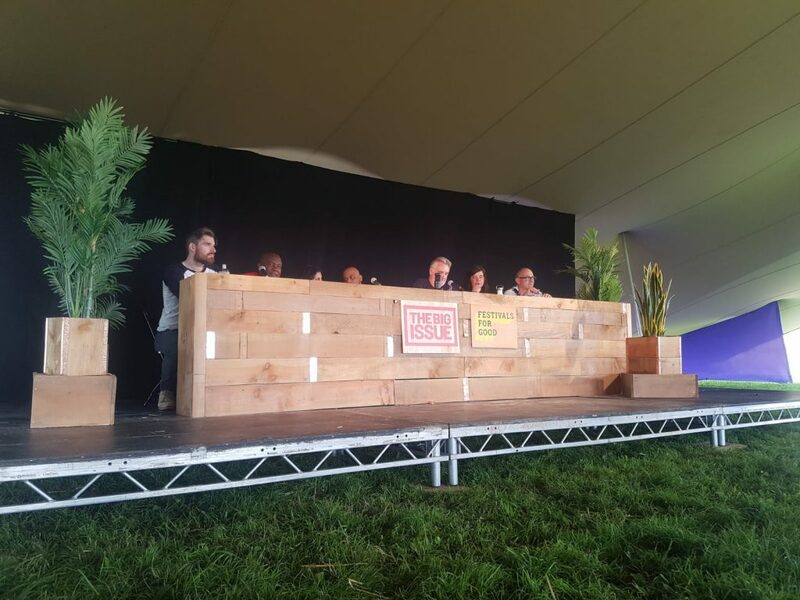 This year Jasper also sat on the homelessness panel alongside charities to discuss what can be done to help Bristol’s homeless. The general public well received the panel with a lot of people raising some excellent points and also giving some good feedback. It was good for us to hear the public opinions and feedback because it helps us to grow and develop as an organisation. You can watch the recorded live feed of the panel on our Facebook page. We are grateful to everybody that turned up and showed their support. Bristol has an incredible community, and we are proud to part of a city that takes an active role in bringing real change to homelessness. The enormous generosity of a continued monthly donation has a huge impact, enabling us to fulfil our mission to Help Bristol’s Homeless. Please show your support today. You have chosen to donate £5 monthly. Add 25% more to your donation at no cost to you. A Gift Aid declaration allows Help Bristol's Homeless to claim tax back on eligible donations. It means that for every £1 you donate to Help Bristol's Homeless we can claim back 25p, at no extra cost to you. By ticking the "Yes" box, I agree I would like Help Bristol's Homeless to reclaim the tax on all qualifying donations I have made, as well as any future donations, until I notify them otherwise. I understand that if I pay less Income Tax and/or Capital Gains Tax than the amount of Gift Aid claimed on all my donations in that tax year I may be asked to pay any difference. I understand that Help Bristol's Homeless will reclaim 25p of tax on every £1 that I give. Gift Aid does not cost you a penny more, but can add an additional 25p to every £1 you donate. When Help Bristol's Homeless receives a donation from a UK taxpayer, we're entitled to claim an amount of tax (calculated at the basic rate of income tax in that year) paid on that donation. Once you have given your permission for us to do this on your behalf, there is no need for you to do anything else. Help Bristols Homeless (referred to as us or we) is a Company Limited by Guarantee registered in England & Wales (registration no. 10763999). We operate the website Help Bristols Homeless (the Website). These are the Terms and Conditions which govern each use you make of the donation payment services provided through the Website. Once you confirm to us through the Website that you wish to proceed with your donation your transaction will be processed through our payment services providers. By confirming that you wish to proceed with your donation you authorise them to request funds from your credit or debit card provider. When you submit your payment details, these details will be transferred to our payment provider, and your payment data will be collected and processed securely by them. If you make an error in your donation please contact us either by email at contact@helpbristolshomeless.co.uk. By confirming that you wish to proceed with a regular donation you authorise our payment service provider Sagepay to request funds from your credit or debit card on the day of each month that you set. To cancel your regular donation please contact us at contact@helpbristolshomeless.co.uk.